Representatives from Gary Mar's leadership campaign were seen breaking party rules Tuesday by selling Progressive Conservative memberships outside an Edmonton advance polling station. 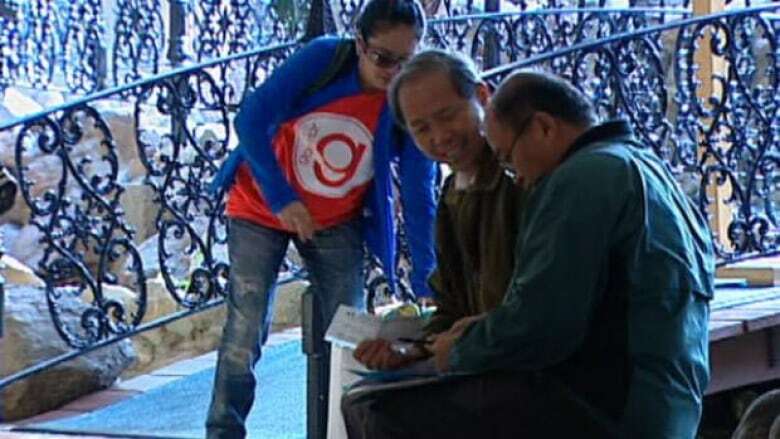 A CBC News reporter noticed two people selling memberships in the lobby of the Edmonton Ramada Kingsway hotel where busloads of Asian seniors had been taken for the vote. 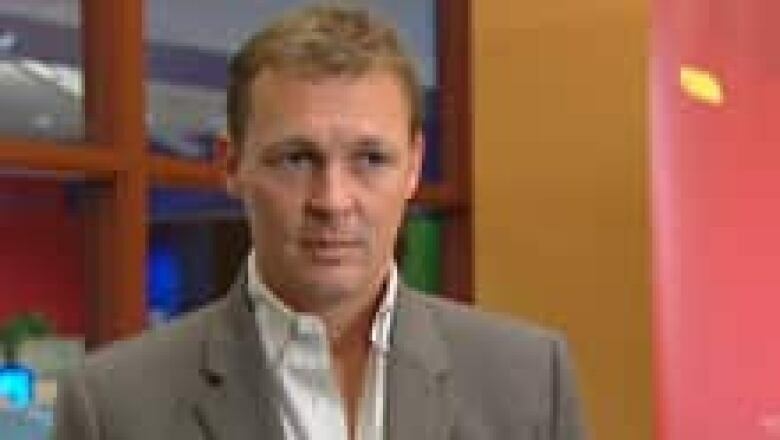 When approached by CBC reporter Charles Rusnell and cabinet minister Thomas Lukaszuk, one of the men said that "some people had forgot." The man, who acknowledged he was a Mar supporter, said he had only sold two memberships. He said he wasn't aware that he was breaking party rules. Mar membership sellers were also shooed away from the Calgary polling station on Tuesday. The man responsible for the Edmonton polling station confirmed that the membership sales breached party policy. "That's not supposed to happen and if I see that a campaign is doing that, I'll shut it down," said Sonny Mirth, the assistant chief returning officer. Mar campaign spokesman Mark Kastner blamed the membership sales on "overzealous supporters" and said the busing is allowed under party rules. Mirth confirmed that busing is allowed with conditions. "It is not prohibited but the requirement is that people sign a form saying that they are voting today because they can't vote on Saturday," he said. "We don't ask them what the reason is and as you know, in a general election, that is no longer a requirement for any kind of balloting at an advance poll." But Mar's commitment to that goal was questioned by one of his competitors, Doug Griffiths, in light of the polling station membership sales. "If you can't run the campaign with integrity, then how can you promise integrity after?" Griffiths asked. "You have to demonstrate by example." Leadership candidate Alison Redford echoed Griffiths's comments. "I'm disappointed to hear this today because that sort of conduct, I think, speaks to a pretty cynical approach to politics," she said. "What we have is a process here where people have a set of rules and we want everyone to abide by the rules. Pushing the envelope, testing those rules, taking them to the ultimate extreme doesn't speak well for what I think democratic renewal and transparency is about." Results of the first ballot will be announced on Saturday. If none of the candidates is able to win more than 50 per cent of the vote, a second ballot with the top three finishers will be held Oct. 1.